ITP0028 – Organizing your Aperture Library using Folders, Projects, Albums and SmartAlbums from Stefaan Lesage on Vimeo. 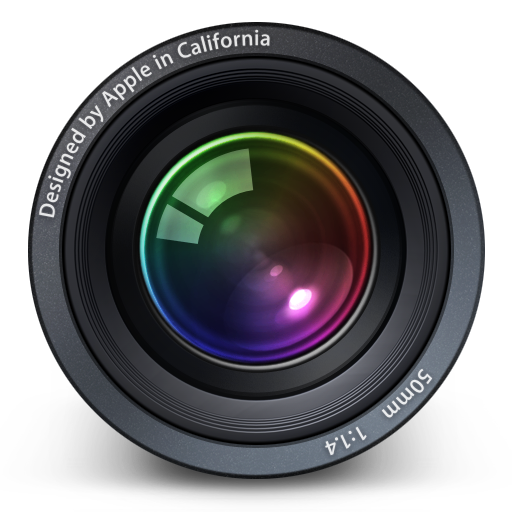 There are many different approaches to organizing your images in Aperture – Apple®, and my approach is one of them. I did already experiment with 2 different approaches and I will tell you the advantages / disadvantages of both. In this tutorial we will be focusing purely on the organization aspect and you will learn everything about Libraries, Projects, Folders, (Smart)Albums and how you can use them to organize your images. The top level of organization is an Aperture Library. As you will see in the tutorial, it is fairly easy to create a new library, and with Aperture 3 you can easily switch between libraries. Every Aperture Library contains it’s own sets of Projects, Folders, Images, Albums, … Additionally every Library has it’s own set of faces, places and keywords too. Personally I’be been using a separate library for Family pictures and another library for professional pictures. This isn’t necessary but I like to separate those images, so I can back them up separately. Additionally, I don’t want the faces of people I shot at a work related event to mix with the faces of friends and family members. Folders can be used to organize your Project and Albums. You can create folders at the Library level, but you can also create folders inside projects. My Library has a folder structor which looks similar to Category/Subcategory/Event/ but a Structure which looks like Category/Client/Year might be more suitable for a professional library. As I mentioned, folders can contain Projects and (Smart)Albums. Lets say you have a folder called Family Events, which contains several projects for Birthday Parties, Thanksgiving diners, … Well if all those projects are within one the folder Family Events, you could easily create a smart album containing all images in which You have been tagged or your face has been found. That smart album would then contain all the images from all the Projects within that folder which match the given criteria. This way you can easily create albums which span different projects. In earlier versions of Aperture we had Brown folders and Blue folders. The Brown folders were used for organization within a project, and the blue folders were used for organization outside of a project. By now … the brown folders have disappeared, and all folders are now blue folders. You can easily move folders from one place to another, but once your folder contains one or more project, you won’t be able to move that folder into a project (since it already contains projects). More professional photographers tend to organize their folders by year. For example … a folder for 2008, then a folder for each month, and within those folders the project for each Client / Shoot. I tried that approach too, but it didn’t work for me. After 3 years I started to have trouble remembering in which year I took what kind of pictures, so I switched to my approach. If I still need all images shot in a specific year … I can still use a Smart Album for that. My new approach allows me to have a smart album for all images shot in a specific year within a specific project, and even have a smart album for all images across all project shot in that particular year. In my personal Aperture Library, every project will be a particular event. Every project contains all the images, folders, (smart)albums for that particular project. Many professional photographers will use a project for each shoot, and I tend to do that in my more professional Aperture Library too, but in my personal library … a project is more some kind of event. For example, I will have a project for a holiday we made, or a trip we made, a project for Christmas Eve pictures and a project for Birthday pictures. As I mentioned before, I tend to use a lot of Smart Albums within and across my projects. Inside a project, I will be using Smart Albums for every year. For example, all images for Christmas are grouped within one project, but I do have a smart album which contains all images for Christmas 2002 and Christmas 2003. Smart albums can also be used to group all images take on a particular day, or containing a specific keyword, with a given rating, or any combination of those (and other) criteria. Sometimes I also use Albums or Smart Albums to group the images I want to share on Flickr together. When we go on holiday for example, I might take 1500 shots, back home I check them, and I might ‘BART’ quite a few of them. Most of the time, if an image is not in focus, it will probably get deleted … Once I’ve done this initial Triage, I might still have 300 – 500 images left, and it is kinda pointless to upload all those images to Flickr. Usually I take a selection of images I like, make sure they have some tags, some geocoding, and I might add a specific title or description to that image, put it in a ‘To Upload to Flickr’ (smart)album and once I’m done upload only those few images to a public set on flick. There are many different approaches to organizing your images in Aperture, and there is no single ‘Perfect way’ to organize your images. Personally I picked an approach which suits me best for that specific set of images. In my case, this might even be different between a Family and Friends Library and a more Professional Library. You should probably pick the method which allows you to find your images as quickly as possible, and that’s exactly what I did. One thing to remember though is that you can do a lot with folders. Not only can you use folders to organize stuff within a project, but you can also use folders to organize across projects. Grouping projects together in Folders allows you to create Smart Albums which will show all images across those project, and that is something I use a lot. Another great podcast Stefaan. I’m looking forward to the next one now! Photography is a passion and a hobby for me. As the number of photos in my Library grows my organization methods must also grow. I found the Organizing Images Podcast very helpful.